The business processes in Enterprise applications so far have been workflow based. The data is gathered from the workflow to then be utilized to do reporting. How do you pick the right projects? How to make ROI on these projects? 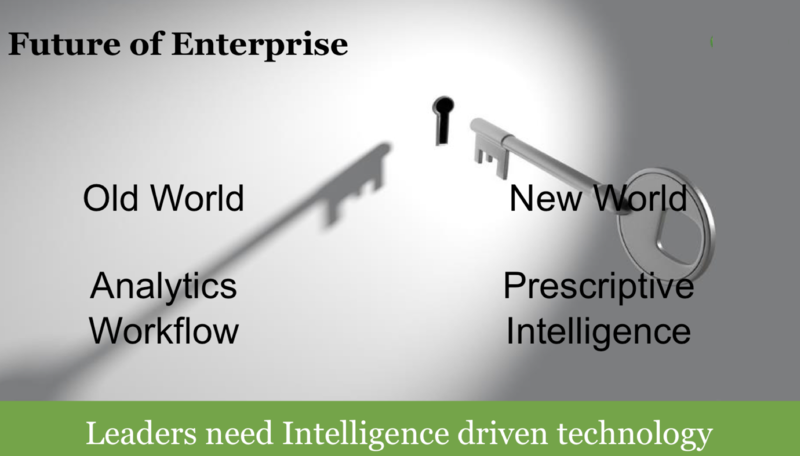 Essentially, Intelligence will drive the workflow and Prescriptive actions will be based on predictions. We have a dedicated full-day Bootcampon AI/ML, where we will discuss actual survey-based roadblocks that AI and IOT projects face, along with real-life use cases, methods and processes. If you want to capitalize on this trend and more register TiEInflectconference AI/ML Bootcamp.